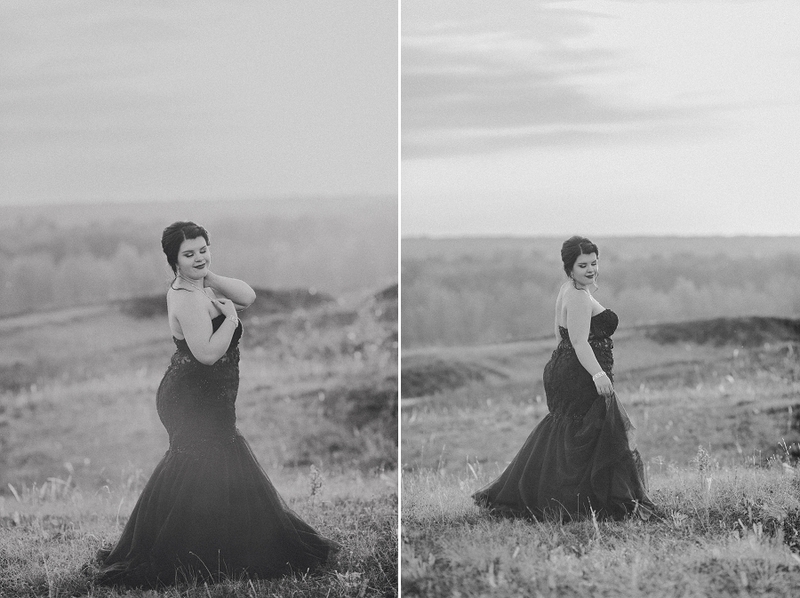 Emily has this elegant 1940s filmstar kind of vibe, with her fair skin, dark hair, and black gown, and I especially loved the feel of her images in black and white. 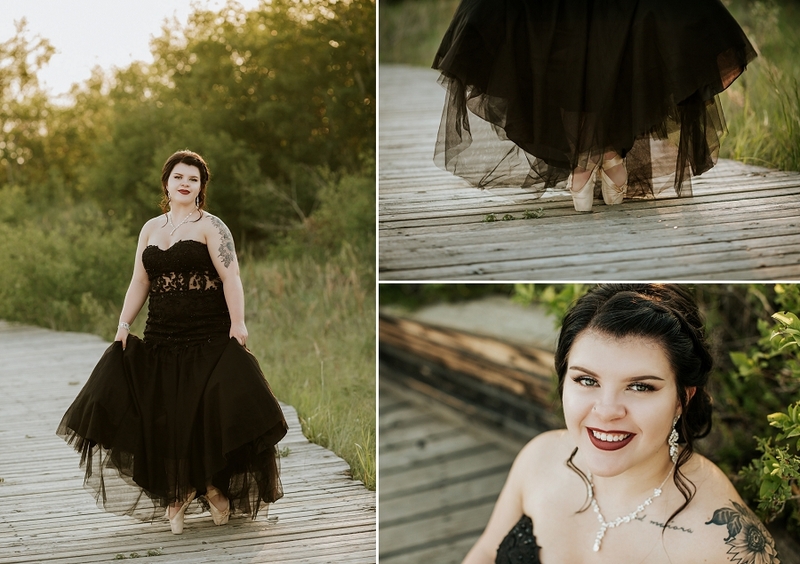 We had crazy light, crazy heat and crazy bugs – in other words, a typical Saskatchewan summer evening for Emily’s grad portraits in Saskatoon! 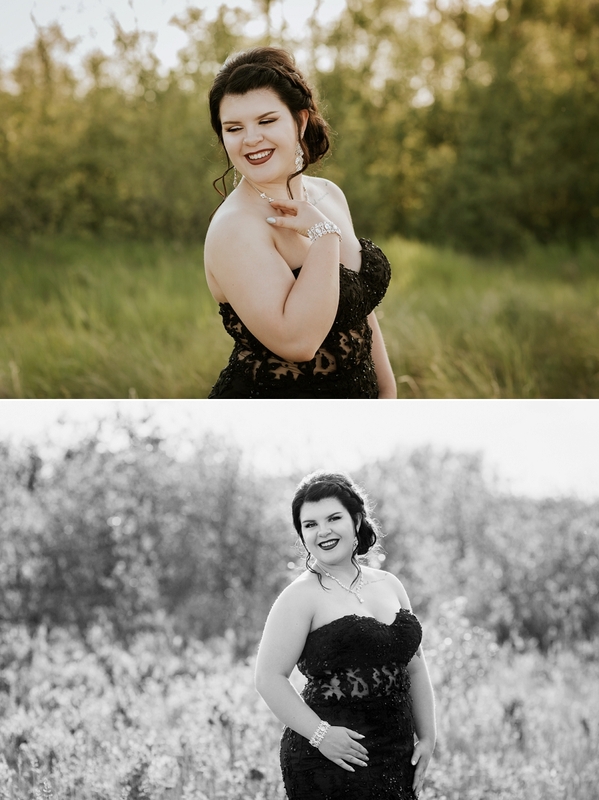 Emily is a 2018 graduate of Humboldt Collegiate Institute. Creative and fun, she’s a dancer, animal lover, and a wicked talented makeup artist. She was also just a ton of fun to hang out with! She’s off to study nursing with plans to eventually become an obstetrician. 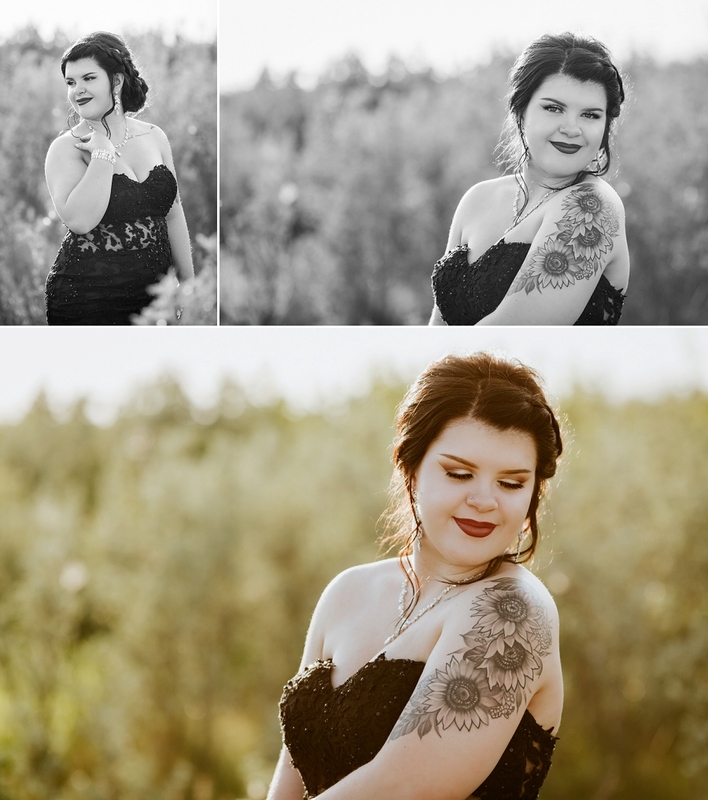 Congrats on your graduation Emily and good luck at university! 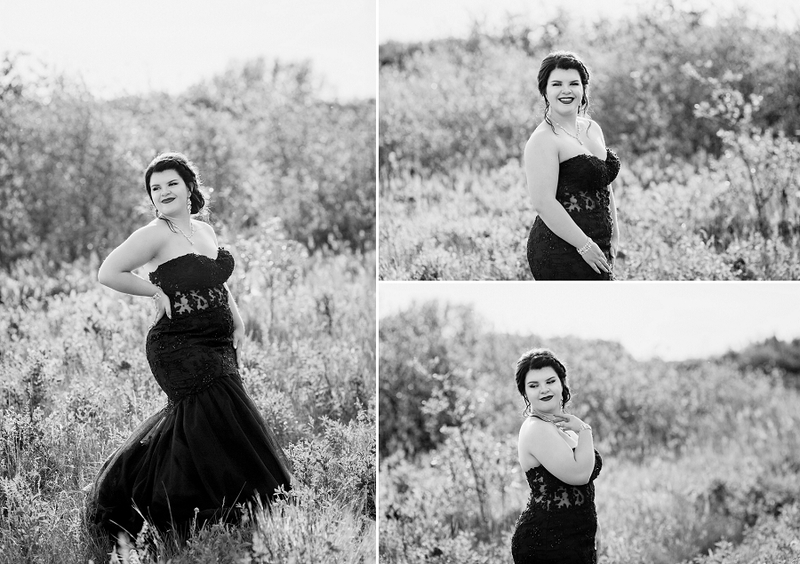 Saskatoon grad portraits by Copperblue Photography and Design. 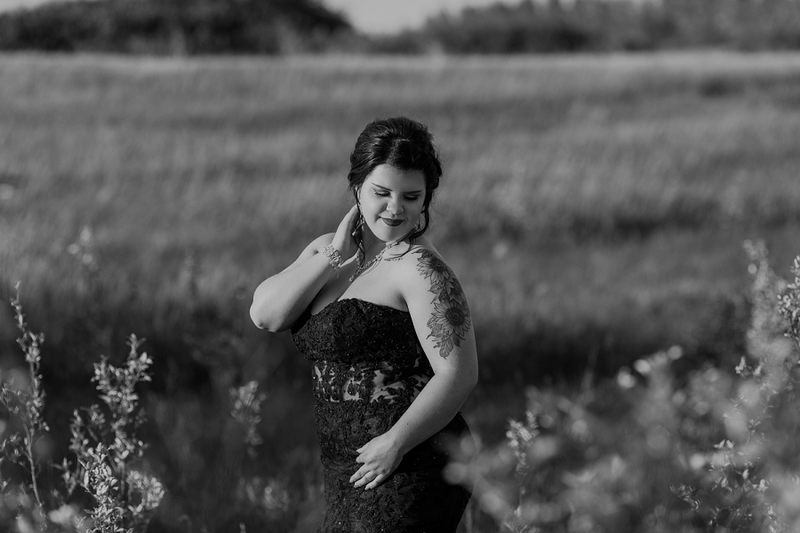 Saskatoon graduation portrait photographer serving the Saskatoon, Prince Albert, Rosetown, Outlook and Humboldt areas. 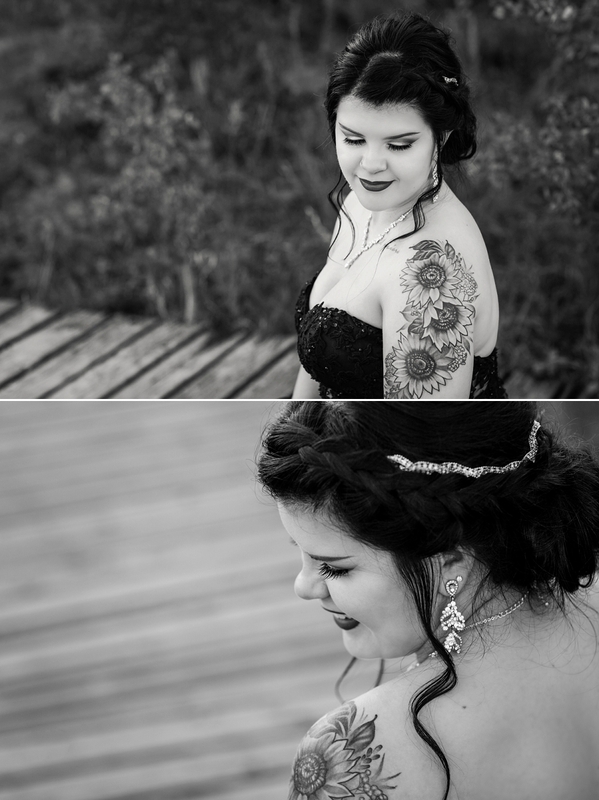 Still looking for a photographer for your grad photos? Click here for session information! Beautiful! I love her dress and ballet shoes! Stunning girl! Isn’t she gorgeous? 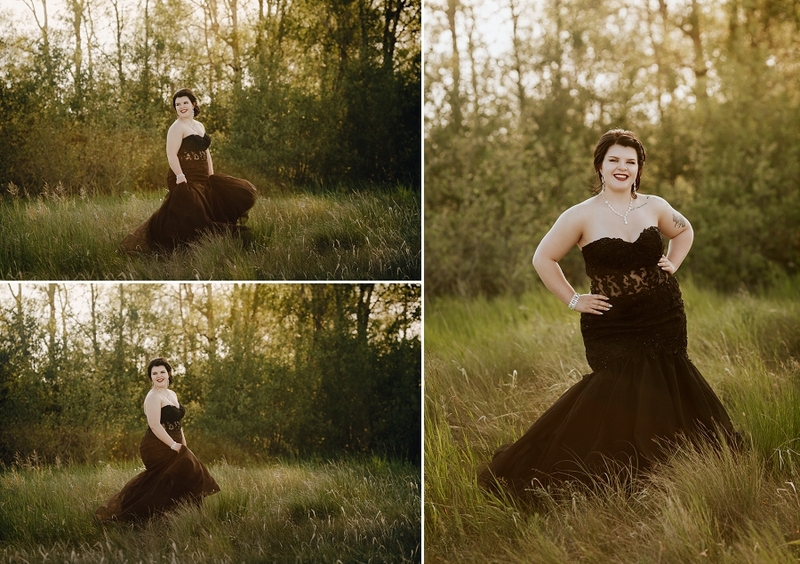 I loved her grad dress too and she totally rocked it! so gorgeous, I love the black and white too… elegant! Thanks Michelle! It just seemed so fitting for her style! Me too! Loved her entire style! She is so gorgeous! She must be thrilled with these! I love her dress. Isn’t she? I loved her style!